The butterflies emerged! 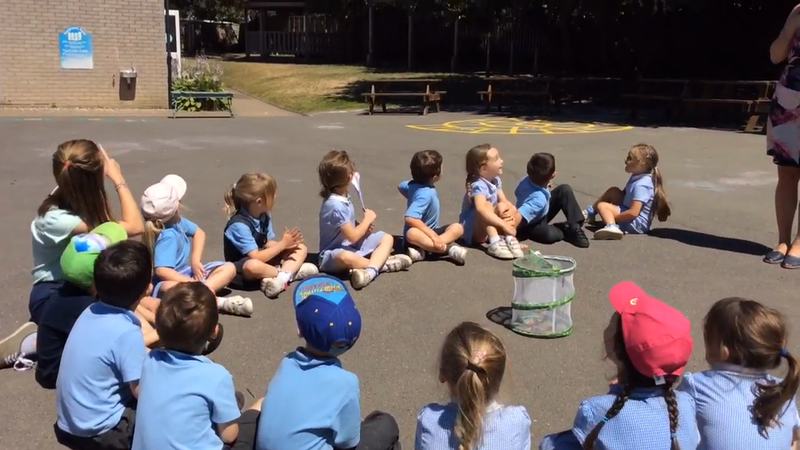 We looked after them for a few days and released them into our playground when they were ready. In reception we have been growing potatoes, carrots, runner beans and strawberries. The strawberries were lovely. Yesterday, we harvested our potatoes. We washed them and cooked them. Every child tried them. They were very nice. We can't wait for the carrots and beans! We have been reading the story of The Very Hungry Caterpillar. We learned about the life cycle of the caterpillar and we now have our very own caterpillars in the class room. We are looking forward to seeing them change. In a few weeks they will emerge as butterflies!